Tripp Derrick Barnes is a South Carolina-born, New York City-based multimedia artist working at the intersection of Art, Entertainment and Technology. 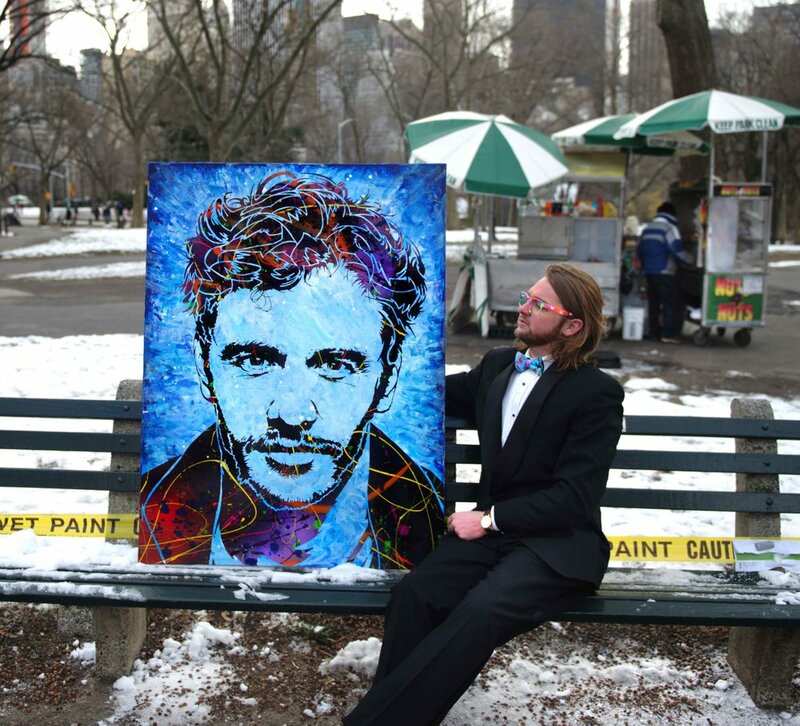 His specialties include but are not limited to painting, murals, Virtual Reality, and augmented reality experiences. He studied sound design at Savannah College of Art and Design and found his calling while taking a live drawing class. It is un-doubtable that Tripp is inspired by his culture, surroundings, and pushing boundaries of what art can be. His use of bright and vivid colors along with commitment to creating a positive experience for his viewers is the root of all of his work. The positive visual energy delivers a universal message of making the viewer trust that even when the world feels heavy, we are empowered to search for the good that still exists. Tripp’s work has been featured on Good Morning America, TV’s Bravo network, and Lifetime’s Project Runway. His paintings have been displayed at Art Basel Miami, 212Gallery, SPIN NY, and Andaz Hotel to name a few. Tripp Art has also partnered with brands such as NBC, SYFY, and Jack Daniels. He has been commissioned by numerous high profile clients, such as Susan Sarandon, Matthew McConaughey, Lady Gaga, Andy Cohen, Ja Rule, and Drew Brees to name a few.